Efficiently tracks flight route performance and displays critical KPIs. Collects 11 years of Inc. 5000 data and transforms it into several interactive visuals for entrepreneurs. Allows users to view historical election results and forecast future outcomes from any touch-screen device. 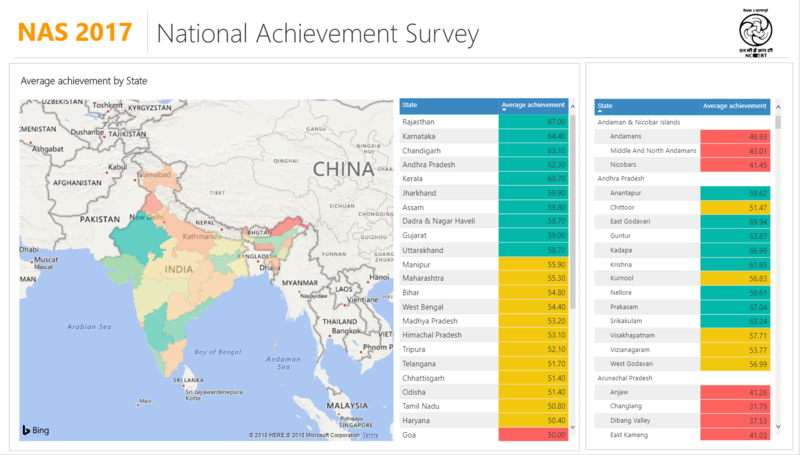 Allows users to visualize the data from the National Achievement Survey using Power BI.